I don’t have kids and to be honest I don’t like hanging around mothers. 'Yes' to woman with children. 'No' to mothers. And yes, there’s a difference but it’s not for reasons everyone thinks. A lot of mothers don’t know what to do with me. They’re not sure if I like kids, they don’t understand why I don’t have them, and they don’t know what to talk about if it isn’t about family life. I know this because as soon as I talk about my life without children they suddenly become open to distraction. While they're telling me all about sleep deprivation their kid’s climbing an electrical fence. While I'm telling them all about jet lag it’s suddenly “Jimmy, don’t hold the Kleenex so tightly.” They’ll use the word ‘interesting’ and then avoid asking me questions. In other words, I find myself holding up a conversation with someone who obviously doesn’t want to talk to me in the first place. 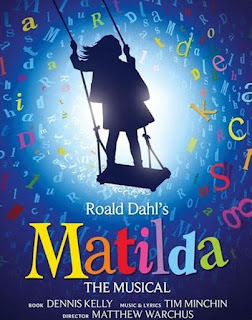 So the musical Matilda is in town. My sister-in-law bought tickets for her kids and invited me. I adore my nieces but I envisioned myself either standing in a sea of mothers eager to talk about teachers or poo or worse enduring an awkward silence that can only be quelled by a conversation that doesn’t include me–except perhaps my nationality. But it’s Christmas time and well, I adore my nieces, so to see Matilda I went. It was quite amusing. If you don’t know the story it’s about a little girl with misunderstood parents: two people, finding their way in the world and being vilified for it. Tango is not an easy dance to learn and Russians can be very particular about car ownership. But somehow life pursuits translated into bad parenting. In the end Matilda goes to live with her teacher. The crowded cheered and I still don't get it. Shunned if you don’t, judged if you do. It’s much better to be an Auntie.